It’s a noun… it’s a verb… it’s the focus of Green Action Centre’s new social enterprise… compost! In 2011, a Statistics Canada study placed Winnipeg at 29th out of 32 metropolitan areas for composting of kitchen (organic) waste. Yikes! Drawing on our knowledge in the field of composting and the desperate need for improved organic waste management services in Winnipeg, Green Action Centre is really pleased to announce the soft launch of our new social enterprise: Compost Winnipeg! 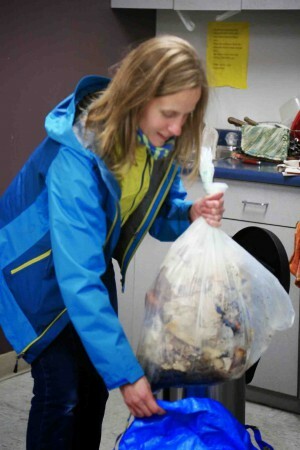 The goal of the service is to make it ultra-clean, easy and affordable for workplaces and families living in condos or apartment buildings to compost (finally!). 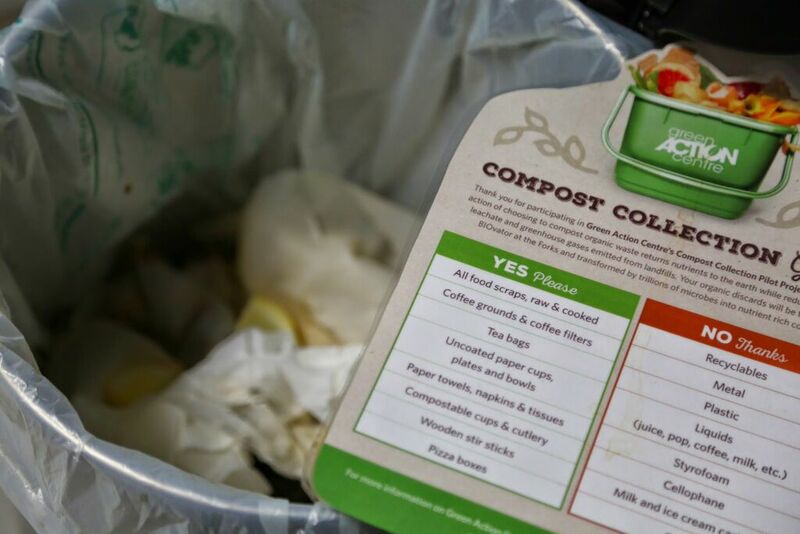 It’s simple: we help set up composting programs for offices, cafés and multifamily-residential locations, pick up organic waste (food scraps, coffee grounds, paper towels, etc.) and make sure it is responsibly composted. We are currently offering the service to a limited number of locations in the downtown and Health Sciences areas while we complete our business planning process with a full launch anticipated for the fall of 2015. This is very exciting for us! If you know Green Action Centre, you know we love compost. Why compost? This program has been made possible thanks to generous support from the ACU Community Grants and CEDNets enp-mb Program (Enterprising non-profits). Decrease waste sent to landfills, reduce greenhouse gas emissions, produce a wonderful natural fertilizer… and with Compost Winnipeg it is now completely effortless. Why wouldn’t you compost? If you have an office, café, apartment or condominium in the downtown or Health Sciences area interested in our service please get in touch! I am interested in finding a company to pick up compostables. I am a board member of an 11 suite non-profit housing co-op. We do not have space on-site to compost but hate throwing out all our compostables. We would be interested in a weekly compostable pick up for which we would pay. We have about 20 members but some of our neighbours will likely sneak their goods into whatever bin you use–which is okay by us and creates a healthier neighbourhood. We are located on Westminster Ave near Arlington. Would we fall in your catchment area? Please contact me and let me know if you would consider us. Thanks. 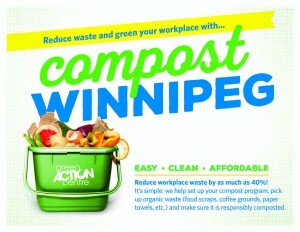 Thanks for your interest in Compost Winnipeg. We are excited to get this project up and running. My colleague, Kelly will contact you shortly.